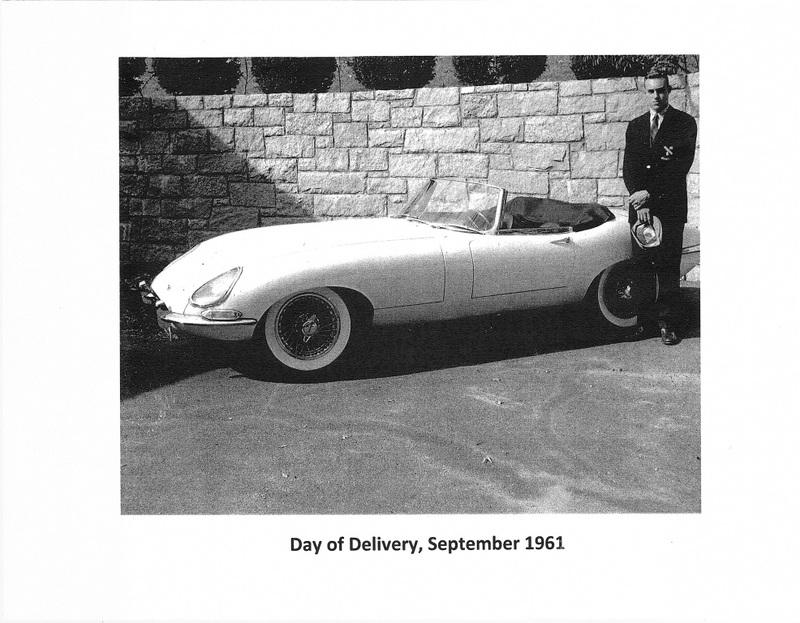 I received a call recently from a fellow who quickly explained that he had just sold his 1962 Jaguar E-Type. He wanted to give it one last tune-up and was having an issue with the mixture on the SU carburetors. We spent quite a while on the phone while I struggled to offer him some useful advice regarding his tune-up. At some point this fellow, Dave Mathewson, confided that he was the original owner of this car. Wow! That got my attention. I asked if I could stop by for a visit. Here is what I learned. Dave has owned this car for almost 54 years. It is a 1962 Series 1 3.8 Litre OTS (Open two seater). And he is indeed the sole and original owner. Until now. As Dave explained, parting with his car was one of the more difficult decisions that he has ever had to make. But he is getting older and getting in and out of the car is becoming difficult. The car is not getting driven as much as it should. And when he does drive it, he worries about an accident in what has become a very valuable and irreplaceable car. So he decided to seek out a new custodian and found one in the form of a mid-west collector. And so shortly after my visit, the car was to be loaded on a transport vehicle and Dave had to say goodbye. I’m sure it was a difficult moment for Dave. How Dave acquired the car was an interesting story. I half expected to hear that Dave was born into wealth and that this car was one of the early perks of a fortunate upbringing. Not the case. Dave told me his father owned a tool and die business in New Haven, Connecticut. Dave’s father expected him to work at the family business. He started when he was 13! By the time he was 14, he was able to use his earnings to buy a used MGTF. After a few years, this was replaced by the purchase of a Jaguar XK 140 MC. But like many of us, when the sensational new Jaguar E-Type came out, Dave was very enthusiastic about these cars. It just so happened that the local Cadillac dealership obtained this car for sale. 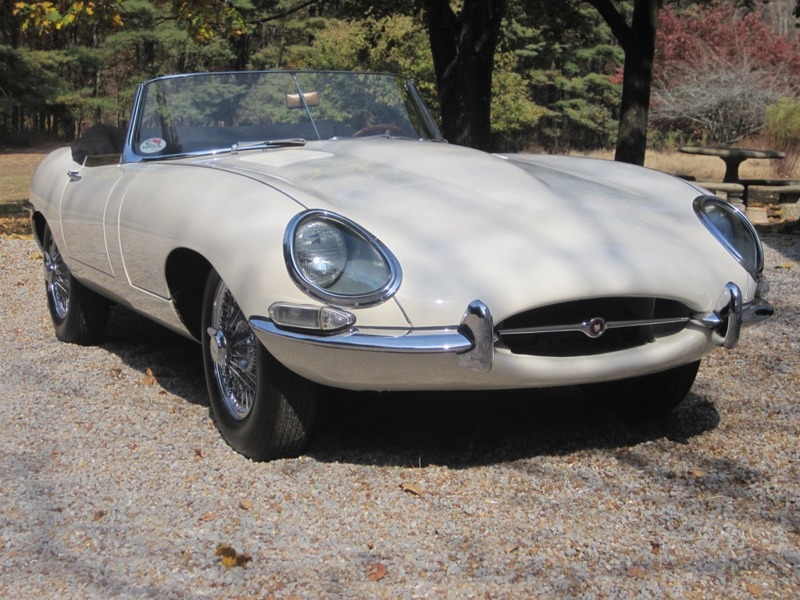 It was 1 of 7 promotional cars dispatched by Jaguar for the 1961 US introduction tour. And although Dave was not born with a silver spoon in his mouth, it does seem that his father had a habit of buying a new Cadillac every year. So when Dave saw the car for sale at the Cadillac dealership, his dad informed them that they should strongly consider selling the car to his son. And so they did! Dave showed me the original invoice. The retail price of the car was $6086.90. Dave’s XK 140 and $468 of Dave’s savings generated a down payment of $2468. Dave was left with a payment schedule of $118.61 a month for 36 months. I checked an inflation calculator and $118 is equivalent to about $1000 in today’s money. A significant car payment indeed but not out of the question for a single young man with a good job. Although with that car, I am not sure how long he would remain single. Above is a picture of Dave as the proud young owner. And so it went. Dave had a career in the Navy and beyond. He got married to an Episcopal minister. They moved a lot! The car always went with Dave for every step of their lives together. Oh, he’s had other flings. I saw a Miata in the driveway. There is a MG TF in the garage. But for 54 years Dave and his E-Type have been inseparable. The car is very original. Dave has only done necessary maintenance. It has flat floors and welded bonnet louvers. 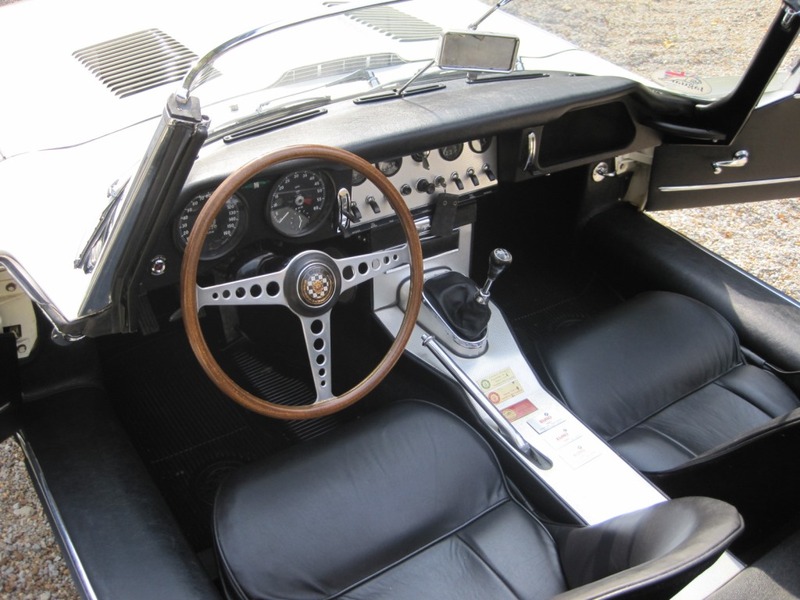 It is the 9th E-Type built after the conversion from external to internal bonnet locks. It scored 98.8 in its last JCNA judged concours event. 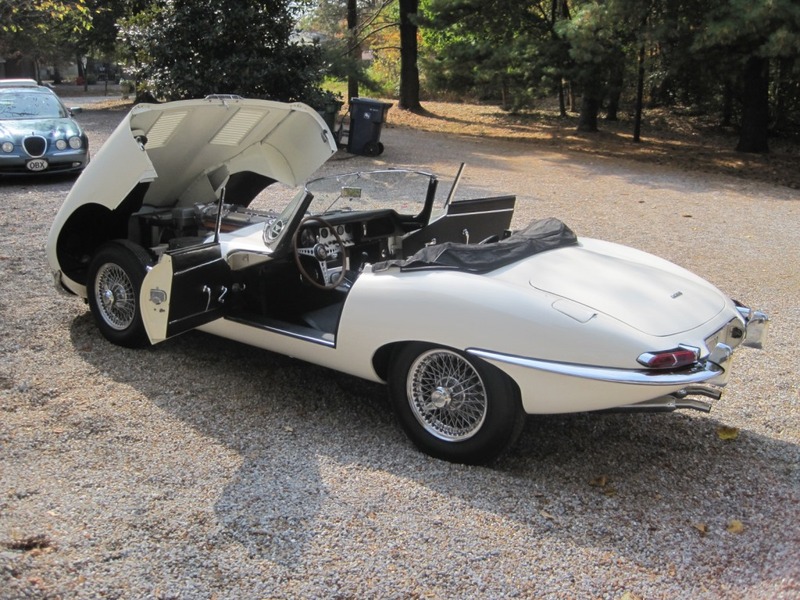 An interesting note is that the car was built in August 1961 but is designated a 1962 by Jaguar because it was built just after the traditional factory closing in July. The VIN number is 875395. Also of note is that the Cadillac dealership incorrectly registered the car as an 8 cylinder roadster. Apparently no one at the dealership bothered to count the spark plug wires and the dual overhead cam engine was mistaken for a V-8 configuration. And so, like many of us, Dave is now left with just his many fond memories of this old girl. He tells me he has purchased a XK-8 with an automatic transmission. Easier to get into. Doesn’t require much “wrenching”. Actually, the MG will keep Dave busy with the “wrenching” part. 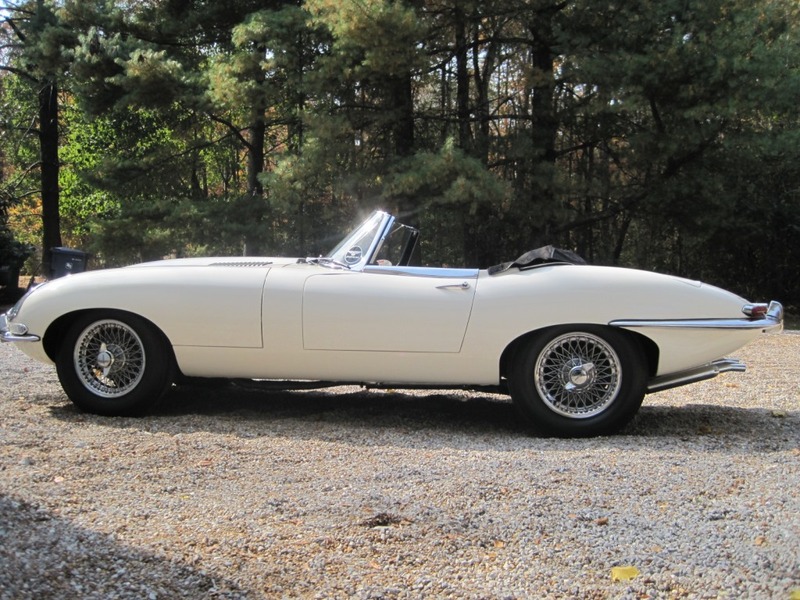 And maybe in another 54 years, a guy like me will be writing an article about the guy who just sold his 2 owner 1962 Jaguar E-Type!